Well, some of you aren’t at fault. But most of you are, and so Thursday, when the House votes to jack up your taxes by passing some of the 31 tax-raising bills the House Ways and Means Committee refused to kill yesterday, you will get your just reward. Bills that received a thumbs-up from the committee would increase the state sales tax by one penny and raise $220 million by June 30 (House Bill 62); increase the tobacco tax by 22 cents to $1.08 and raise $16 million by June 30 (House Bill 14); increase the tax on telephone and cellphone calls to 5 percent and raise $3 million by June 30 (House Bill 72); impose a 2.5 percent state tax on car rentals and raise $800,000 by June 30 (House Bill 39); and increase the tax on alcohol — beer, wine and spirits — and raise $6 million by June 30 (House Bill 27). Edwards is pushing each of these bills as part of his effort to raise $400 million in new tax revenue (not $350 million, as previously reported) as part of a three-pronged plan to close a $900 million shortfall by June 30. Edwards also is proposing to cut at least $160 million in government spending and use $328 million in funds available only this year. The committee also gave a thumbs-up to another Edwards-backed bill (House Bill 55) that would attempt to make companies pay higher taxes by limiting their ability to shift income earned in Louisiana to another state to lower their Louisiana tax bill. Another Edwards-backed bill (House Bill 59) that got a thumbs-up would extend existing taxes on hotel and motel rooms to short-term rentals, such as Airbnb, that are now exempt from those taxes. The Ways and Means Committee gave a thumbs-down to four bills (House Bills 22, 23, 24 and 64) that would make businesses pay higher taxes. The bills would make permanent a temporary reduction in business tax breaks that the Legislature imposed last year. Because the votes were only recommendations, the full House still can vote on these measures. The Ways and Means Committee also gave a thumbs-down to measures that would no longer allow taxpayers to deduct their federal tax payments on their state tax returns (House Bill 31); that would no longer allow taxpayers to take a full deduction on their state tax returns from their federal excess itemized deductions (House Bill 33); and that would require taxpayers to begin paying higher tax rates at lower income levels (House Bill 32). The House will kill some of these. Straight-up tax hike bills need 70 votes for passage, and there are 35 Republicans who will not vote for most of those tax hikes. But the parts of the package that do pass will add up to the largest tax increase in the history of the state. The biggest issue is John Bel Edwards’ “clean penny” state sales tax, which will raise some $900 million per year and make this state the most expensive for state and local sales taxes in the entire country (we’re currently third). Republicans who vote for that as anything other than an emergency measure over a short duration will have a lot to answer for from voters who have made it clear in polls they’re not interested in tax increases. And yet the current plan is not to sunset that tax increase until 2021 – meaning that Edwards won’t have to seek its renewal until after he’s re-elected. Which is not acceptable. If Edwards wants a 20 percent increase in state sales taxes after he denied he would raise taxes as governor, he damn sure should have to defend that increase in an election year and have the voters pass judgement on him with that issue at the forefront. Otherwise, he will run for re-election on having stabilized the state budget when he’ll have done no such thing. Confiscatory taxation to support a runaway state budget is not stabilization. But if you’re angry about this, be angry at yourself. Some 56 percent of you elected this prevaricating hillbilly caudillo to the governor’s mansion because you couldn’t stomach 15-year old stories of hookers when it was time to choose a governor last year. And majorities of you continuously agree, stupidly, to dedicate money from the state budget toward items which are not of the highest priority whenever constitutional amendments creating those dedications are put on the ballot. You also allowed the formation of a state constitution which cemented the brazenly ridiculous idea that tax dollars can’t be spent or not spent by your elected officials in a manner you supervise by electing or defeating them. That’s why you have some $6 billion in welfare from the state to local governments which is automatic and untouchable, when the effect of that money makes those local governments less responsive to their citizens because it flows whether it’s well spent or not. Some $3.5 billion of that money is unaccountable, automatic welfare from the state to local school districts, and because of it Louisiana ranks 18th in the nation in per-student spending on K-12 education while ranking 49th in outcomes. And you support a homestead exemption of $75,000 in this state, which is double what anyone else in the nation offers. Because you support that, those local governments are forced to beg for that $6 billion in welfare every year because they don’t have the ability to generate a stable tax base like our neighbors in Texas do. Middle-class homeowners in Louisiana don’t pay much in property taxes, though they get skewered on sales taxes and pay state income tax which other states like Texas and Florida who have eaten Louisiana’s lunch over the past few decades do not charge, and the effect is a shower of dollars from Baton Rouge on those governments which is less efficiently spend and carries less accountability than it would if the providers of that cash were local taxpayers rather than the state treasury. In those other states which surround us, the average between state and local government spending comes to about $7,200 per person. The highest of them, Mississippi, spends about $8,000 per person. The national average is $8,300 per person. We spend $9,400 per person, and we are told by our betters in the state government that there is nowhere we can cut. 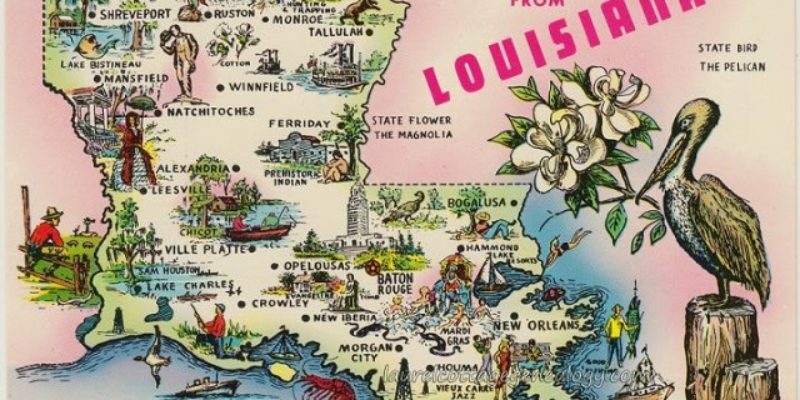 Georgia, which has 10 million people and has eaten our economic lunch since the 1970’s, has a state budget of $22 billion; Louisiana’s budget next year will likely be closer to $27 billion. But there are no cuts to be made without the poor starving in the streets and the developmentally disabled being abandoned by our crumbling roadsides. Those are lies, but you have made yourself powerless to push back against them. You have allowed all of these things to coalesce into today’s reality, and because you have done so you are going to reap the largest tax increase in the state’s history. The state’s economy, which is already in a recession, will take a major hit and the outmigration which has been a fact of life for most of the last half-century and surprisingly ground to a halt during the “misrule” of the Jindal years when no such tax increases as this one were in the offing will resume in earnest. And you can scream about the RINO’s in the legislature and the prevaricating hillbilly caudillo in the governor’s mansion all you want. It will surely be cathartic for you. But at the end of the day, if you want to point fingers you’ll want to stand in front of a mirror first. Because it’s your support for a dysfunctional and uncompetitive system of taxation and governance in this state, despite decades of evidence that how we do things is inferior to that of our neighbors, which has gotten us where we are.